You’re welcome to visit your family and friends as often as you like, but we do kindly ask that you respect our rules and regulations. 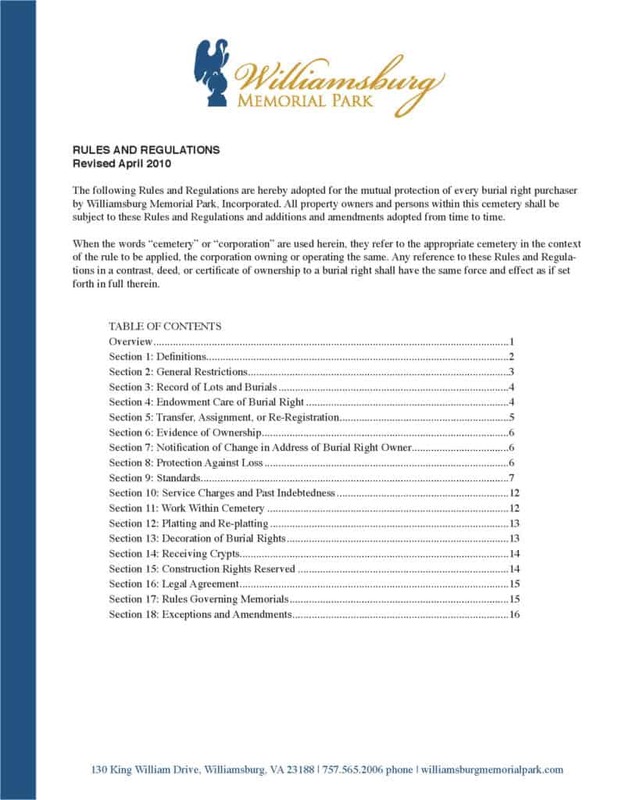 Many of our rules are for safety reasons, others are to maintain the beauty and appearance of our park, and some are to protect the rights of other property owners. To download a copy of our rules, please click on the Rules & Regulations PDF below. Floral & Decoration Rules can be found here. If you need help or have a question, please call us at 757.565.2006 or fill out our 24/7 Contact Form.